Just because your claim is small doesn’t mean it’s unimportant. Learn how to protect your rights without blowing the bank! 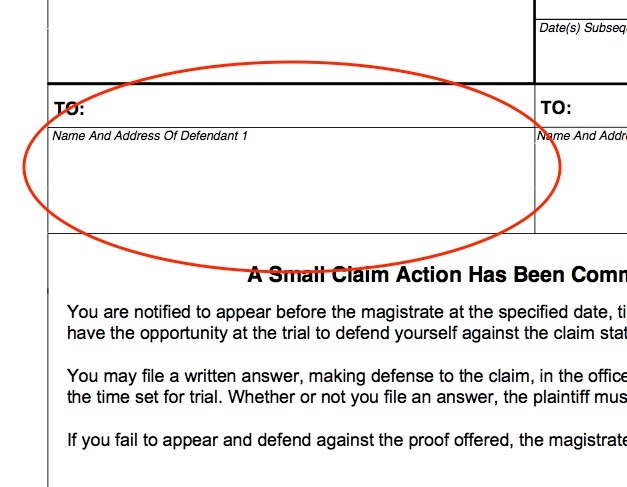 In our last installment, we introduced you to Small Claims Court and how to use it. If you haven't read the introductory article yet, get on over there and check it out here! So where do I sue, anyway? Your venue - that is, the county that you choose to sue in - is going to depend upon where you're located and where the defendant is located. If you and the defendant are both located in the same county, then you'll sue in that county. If the defendant is in a different county, then generally you'll want to sue in the county where the defendant is located. If the defendant is a corporation and does business in your county, then you should be able to sue them there. One quick note: You should obviously do your best to file in the appropriate venue the first time. However, if you do mess up for whatever reason, then the appropriate recourse for incorrect venue is to transfer the suit to the correct venue rather than to dismiss it. Now for the good part; in order to begin your lawsuit, you'll need to complete and file the Complaint and a Summons for each defendant. How do I fill out the complaint? Your first step is to make sure that you're collecting the appropriate complaint form. There are four complaint templates that you can use: The Complaint for Money Owed, the Complaint in Summary Ejectment, the Complaint to Recover Possession of Personal Property, and the Complaint to Enforce Possessory Lien on Motor Vehicle. As your normal everyday Plaintiff, you'll probably want to use the Complaint for Money Owed. First, you'll want to write or type your full name and address under "Name and Address of Plaintiff." Make sure to include your phone number and the county where you live. Pro tip, the Clerk's office will love you if you type instead of handwriting. Next, add the Defendant's full name and address under "Name and Address of Defendant 1." Include the defendant's phone number and county, if you know it, and check the appropriate box to indicate whether the Defendant is an individual or a corporation. If there are additional defendants, you'll need to also fill in the "Name and Address of Defendant 2" section. If your Defendant is a corporation, you'll need to make sure that you're using the proper name and address. You can find them through a search on the Secretary of State website. If you have an attorney, make sure to list his or her full name and contact information. Then again, if you have an attorney then presumably he or she will be filling out your Complaint for you. But I digress. Fill in the county where you're bringing your suit. Calculate the amount that you allege to be owed and enter in the box for Principal. If you're claiming interest, then calculate that and enter it in the box for Interest. Then add both numbers together and enter the result next to "Total Amount Owed." Finally, sign and date the Complaint. If you're using one of the other Complaint forms, it'll be filled out in substantially the same way as the Complaint for Money Owed. If you have questions about one of the other forms, give us a shout and we'll be happy to help. Cool beans! How about the summons? The Summons is every bit as important as the Complaint, if not even more so. The summons is what establishes the court's jurisdiction over the defendant; that is, the court's authority to bring the defendant into the courtroom to answer your allegations against him or her. 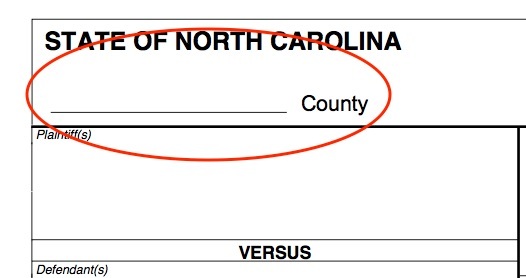 First, fill in the county where the lawsuit was filed. Next, enter the file number for the case. The file number is assigned when the Complaint is filed, so you won't have access to it if you're preparing the Summons in advance. Enter your full name as the Plaintiff, as well as the Defendant's full name, in the appropriate boxes. If the Defendant is a corporation, remember to use the proper name as it's entered with the Secretary of State's office. Complete the full name and address of the Defendant. Important note: if the Defendant is a corporation, you can either serve it through the Registered Agent listed with the Secretary of State, or you can serve an officer, director, or managing agent of the corporation. 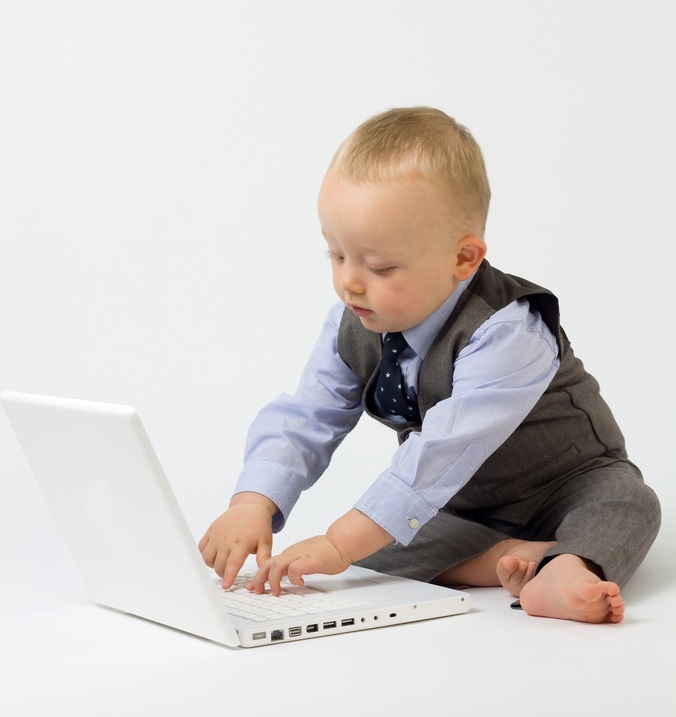 It's typically easiest to serve the Registered Agent. Finally, the Clerk will enter the date and time of the trial and then will "issue" the Summons by signing and dating it. Once the Summons is completed and issued, it's ready to serve along with the Complaint. So that's it, then, right? There are a couple of housekeeping matters that you'll need to be aware of. First, you'll need multiple copies of the Summons and Complaint to take to the courthouse; one for you, one for the Court, and one for each Defendant. So if you have one Defendant, you'll need three copies. Second, the Complaint and Summons don't mean anything until they're timestamped and filed by the Clerk. So you'll need to pay the filing fee, then take the filings to the Clerk for stamping and filing. Until then, your lawsuit isn't in effect. Finally - and this is extremely important - you have to serve the Summons and Complaint on each defendant before they can be brought into court. Like we said last week, we strongly, strongly recommend that you serve your defendants through the Sheriff's office. That costs $30.00 per defendant, and you can pay either directly to the Sheriff's office or the clerk's office can do it for you. Thanks for reading! Check back next week for Part III, and give us a call with any questions!